All applications hosted on Scalingo generate a lot of metrics made available to the owner through beautiful graphs on the web dashboard. The next step many of you were expecting is alerts about these metrics. Today we announce the release of alerts about any metrics collected by an application. When you host an application on Scalingo, there are many scenarios where you may want to be alerted. Imagine your application uses most of the time around 30% of its allocated memory. Suddenly the memory usage grows and your application starts filling up the memory. It eventually starts swapping and your app drastically slows down. 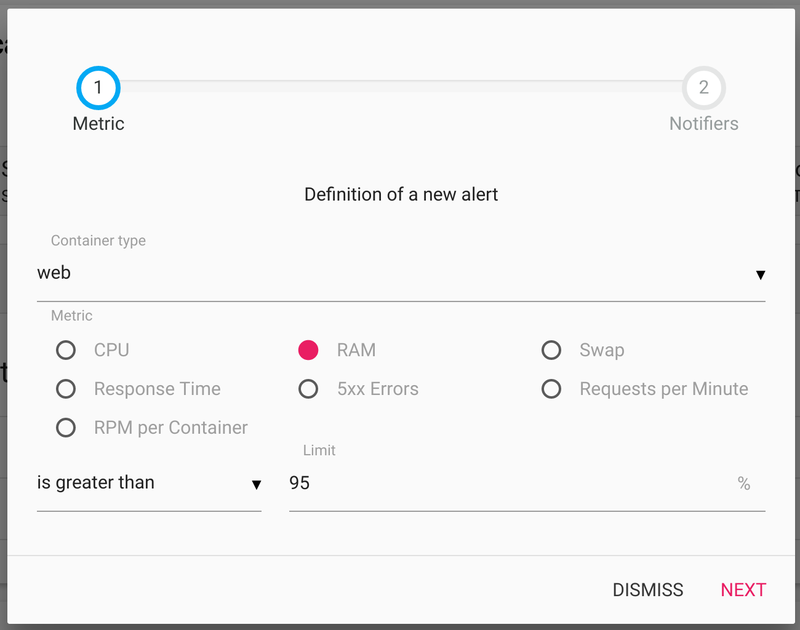 By setting up an alert on the RAM usage or on the swap usage, you would be notified and can react by either looking for a memory leak, or using bigger container. And there is many other use cases you can imagine to help you monitor your application using alerts on the metrics gathered by your application: you might be wondering whether your application is receiving an abnormally huge amount of requests, or if it raises 5XX HTTP errors. The alerts are configurable through the Scalingo dashboard, in the Notifications section. This page contains two parts. The first part whhich already exists for a few months is about the notifiers of your application. RPM and RPM per container: requests per minute (RPM) received by your application. If your application is scaled on multiple containers, the RPM per container divides the RPM of the application by the amount of containers. Finally, you need to give a threshold above/below which the alert is triggered. When done, the alert is configured and ready to notify you when your application requires your attention! If an important metric is missing for your app, feel free to reach us on the support and ask for it. 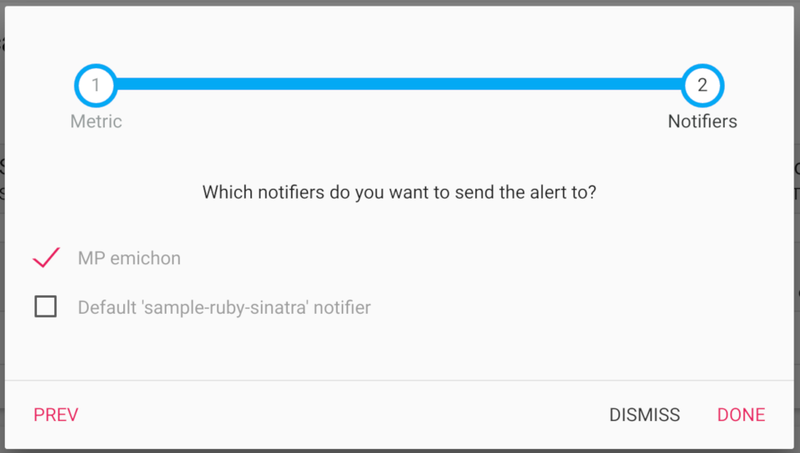 Finally, the release of the Alerter service is the last piece of software infrastructure needed for the long awaited auto-scaling feature. Stay tuned.